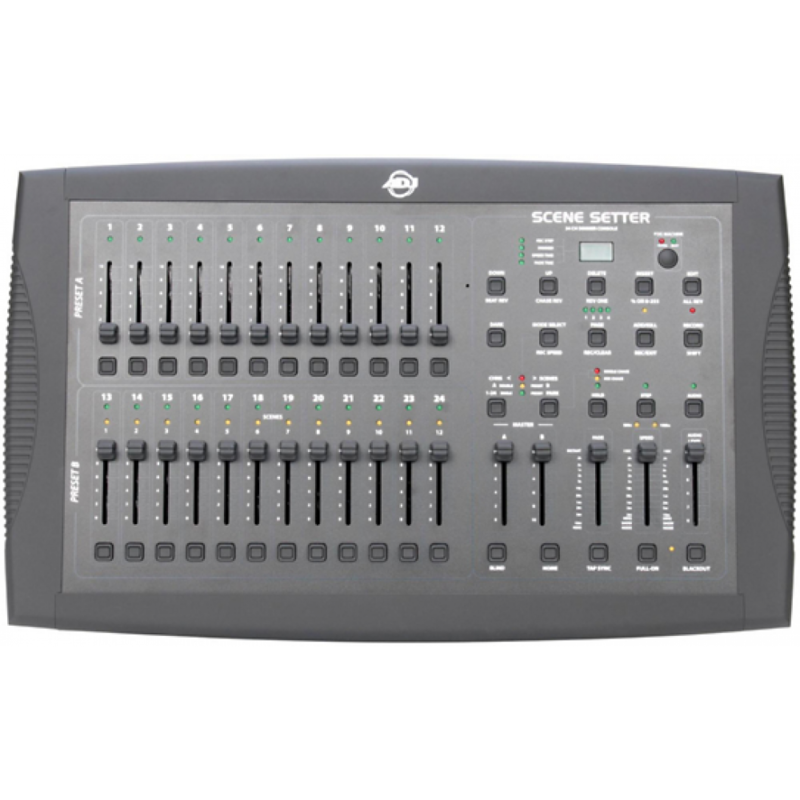 The American DJ Scene Setter is a 24-channel lighting console, with adopted digital technology that will give you complete dimming control of both your intelligent and ordinary lighting. 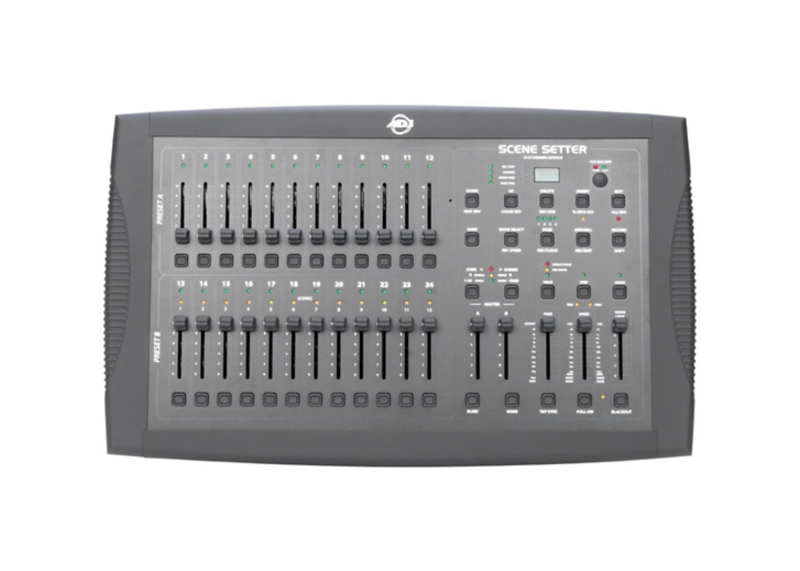 This console is capable of storing 4200 different programmable scenes, and 48 programmable chases that can all be locked out with a password to prevent other users from accidently programming over your preset cues. 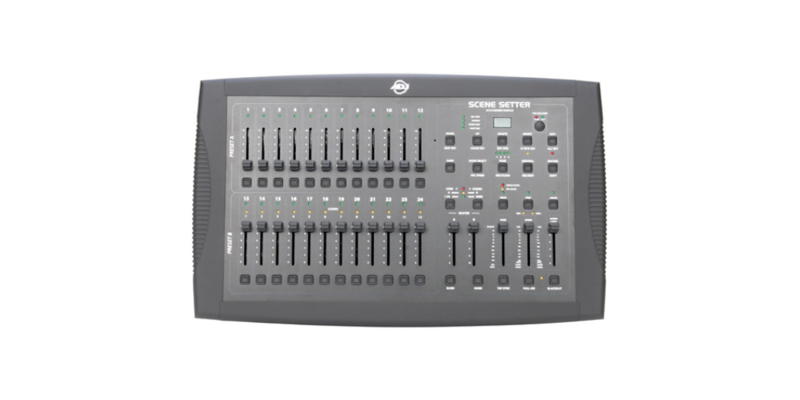 There are 24 separate channel faders for hands-on control, and an audio input with a built-in microphone to sync the system with music if desired. 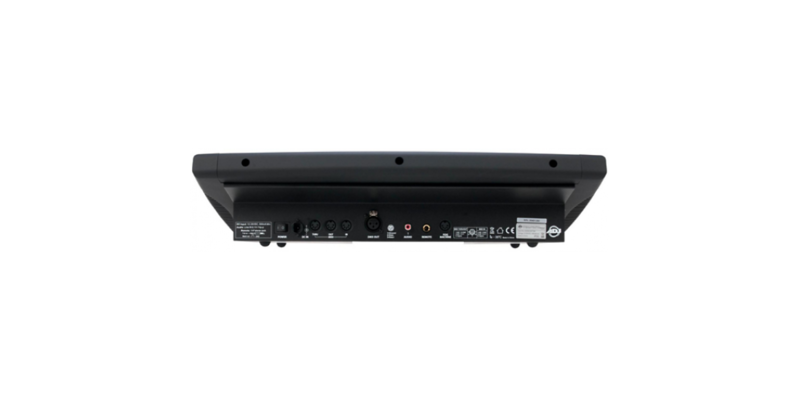 This product also has a fog machine input, with a trigger button for a quick use of other pre programed features. 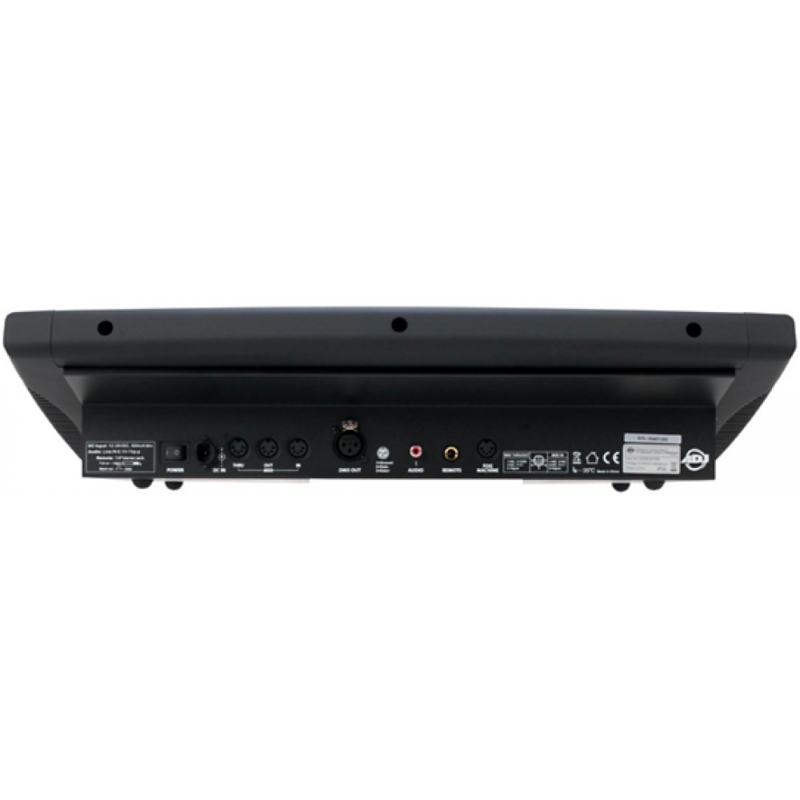 American DJ BUBBLE BLAST Bubble Machine..
American DJ Scenesetter 48 48 Ch Dmx Dimming Conso..